Larger blade sizes, new materials and changing designs make the need for structural testing more critical than ever. Moog applies experience in aircraft testing and expertise in wind power to offer a unique approach to blade testing. 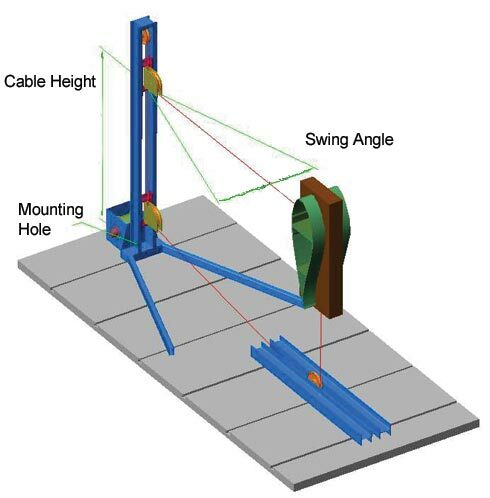 Using hydraulic actuators/electrical winches and our high-performance test systems, OEMs have a flexible approach to structural testing that can grow and change as their designs change over time, taking into account different parameters such as wind strength, blade characteristics, blade-tip deflection and profile. Our test controllers for blade testing can perform static and dynamic tests. The Moog test controller system affords straightforward test setup and user-friendly analysis of the measured data. When a leading wind power equipment provider in India required precision blade test systems for its latest designs, Moog delivered a solution incorporating leading edge design and unsurpassed performance. Provide equipment that delivers precise and thorough testing of the company’s latest blade designs to help determine optimal benefits. The system should be flexible to perform a full range of dynamic and static blade tests for sizes up to 60 meters long. Moog designed and installed a system to perform two types of structural tests on different blades. The first is a 6-channel static test system comprised of 6 electrical winches that pull the blade via 6 mechanical frames and height-adjustable pulleys. Loads up to 200 kN can be applied. The second is a 2-channel dynamic test system consisting of two long-stroke hydraulic actuators equipped with a displacement transducer and load cell using Moog Servovalve Technology. The system uses the Moog Test Controller, a fixture in leading test labs worldwide. With the test systems in place, the customer can take advantage of robust test procedures in both static and dynamic platforms, as well as ensuring simple set-up and test procedures for their newest blade designs.